I’d be silly to avoid mentioning something I ended up sitting in front of the television for. As I was awake, it seemed to make sense to sit and rest and watch. It’s a Bank Holiday after all. Saw some of the foreign royals, but not Crown Princess Victoria, unfortunately. Was reminded of a good royal romance when I caught sight of Harald and Sonja of Norway. Am glad I wasn’t invited. The apparent requirement for females to have something other than just hair on their heads is not for me. But whatever I’d have done, had I been there, it would have been more sensible, not to say more flattering, than what Beatrice and Eugenie got up to. You inherit certain things from your parents, and ‘dress sense’ seems to be the one for them. The bridesmaids were cute. So were the two little nutcrackers. (That was Daughter’s term for the boys. And she’s right.) Philippa Middleton’s dress was to die for, always assuming you have the figure for it. Her sister Kate’s dress was also good… Men have it easy, with uniforms and top hats and stuff. Tails. Less easy to fiddle with rings that stick on fingers and getting your gloves back on when outside again. Not having been to many weddings, I’ve never been one for shedding tears, but it was quite a moment. I liked the music, too. Not stuffy as per normal. Angelic singing. From the choir, not so much the congregation. Was a little worried that the carriage for the Queen and the Duke of Edinburgh would collapse under them. Not that they are heavy; more that the carriage looked delicate. And tilting dangerously. The sight of Harry and bridesmaids and nutcracker in their carriage made me think of Doctor Who. I think Harry would be a good replacement, should Matt Smith want to retire. Wonder what the Middletons and the Cornwalls found to chat about in their carriage? I can think of easier combinations of people. And speaking of the father of the groom, I think he forgot about the ‘forsaking all others’ which was mentioned early on in the proceedings. It’s sweet that after eight years together, the new Duke of Cambridge blushes when kissing his wife in public. Must be something he’s not used to. Having a wife. Some episodes pass by so quietly, that thinking back I tend to remember them as slightly less interesting than average. And then it turns out that, actually, it’s a really strong episode. I’ve been meaning to get back to the fifth episode of season eight almost since it was on in the autumn, and with our enforced ‘spring break’ before the last three episodes, we had an opportunity to ‘watch again’ last night. Is there an app for doing your job? Well, there ought to be. Ducky doesn’t care for radio shows where you call in to be berated by a smart aleck host. So you shoot him instead. Gibbs surprised Abby, and she asked if he intended to give her heart palpitations. ‘What have you got, Abse?’ ‘Heart palpitations.’ Yes. While we’re on health issues, poor DiNozzo had a sore throat, possibly due to grass and fertiliser. Might be what the bad guys meant by ‘suburban suffering’. Whatever. 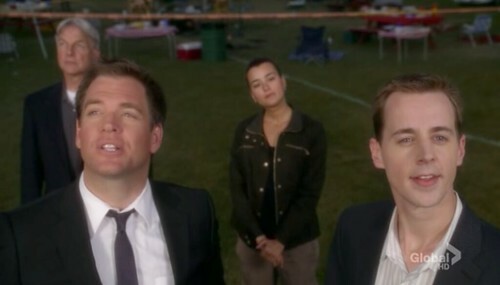 It made DiNozzo go squeek. Quite sweet. I happen to live in what must be labelled a ‘gated community’, although it’s not like this one, where your mailman comes to barbecue for ‘the cause’. 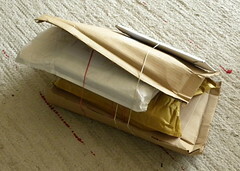 (Mine, as you recall, stops at putting book parcels in the dustbin.) I have never felt the urge to blow anyone up, or not much. But I need to learn about this baseball business. It’s apparently enough to send absolutely anyone into a trance. 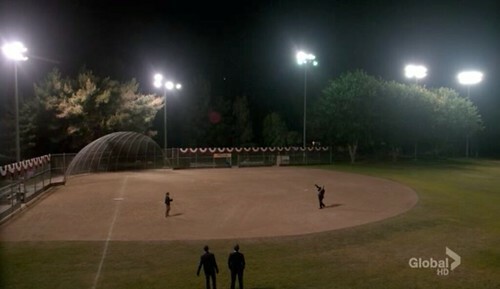 Bright lights over a corner in a field. Kevin Costner. Mark Harmon. The Darcys had the decorators in. 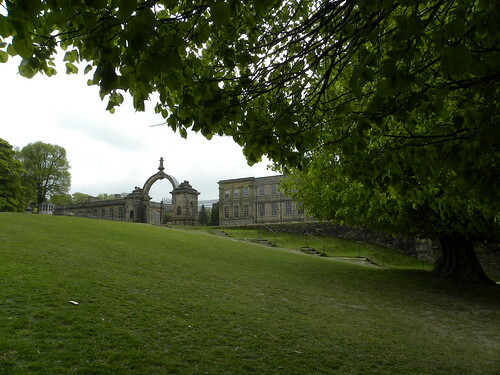 Or they would have, if Lyme Hall belonged to Mr Darcy and his Elizabeth. As it is, it was only the BBC who placed Darcy there, and only on the outside. But we traipsed through Lyme Hall as quickly as we could today, en route to and from Mary, Queen of Scots. That’s when we glimpsed (well, more than glimpsed) the decorator in one of the rooms. I suppose even the National Trust need to paint once in a while. It was my idea to go to Lyme Park once Daughter was back at college. She huffed a bit, but unfair or not, the Resident IT Consultant and I went off for some elevenses and a little walk. Concluding that I couldn’t very well have three pieces of cake I had a scone and butter instead. While the Resident IT Consultant went for a walk, I hobbled over to inspect the new play area. It looks good, and I could almost wish I had small children to take there. Almost. After a further hobble on my part, we met up again by Lyme Hall. They have some nice, polite people on the door to the courtyard, asking ‘Can I help you?’ and I never know what to say. Would it be rude to say ‘no’? I just feel that they can’t help. We went in to see the exhibition of portraits of Mary, Queen of Scots. I asked the Resident IT Consultant before we came out if he thought it’d just be a small one, remembering some modest exhibitions at the library. He felt that anything coming from the National Portrait Gallery must have a lot worth seeing. It was more on the library scale. Had to climb upstairs, and that was after scaling the slope up to the hall. (Noticed the mini-van service when I was almost all the way up. But it was meant to be exercise, so it was OK.) The exhibition consisted of small prints, accompanied by small sheets of information, displayed in unlit conditions. I should have brought my reading glasses to see, but had expected paintings. The poster advertising the exhibition showed a colour painting. And then we had to continue winding all the way through the hall to get out again. Hence the decorator encounter. As we drove home, the Resident IT Consultant mused that we had most likely missed the postman by going out. I said that since it was the day after Easter I didn’t think there would be much post. We did miss the post-van by a split second, but they had left all eight parcels (yeah, I know) in the dustbin. I might give underestimating a miss next time. That’s along with so-called exhibitions. Mary was a Queen! There must be more pictures of the woman in existence! The return of a new season of Doctor Who is all very well, but we were mostly thinking of Sarah Jane. The short tribute programme on CBBC after the first episode of Doctor Who had the witch family in tears. You sort of know you are sad that Elisabeth Sladen has died, but some things are better than others at bringing it home. Nice comments made by her recent, and some less recent, co-stars is only what you expect. Old clips from when she was the Doctor’s companion were interesting to me, but possibly more meaningful for all those, like David Tennant and Russell T Davies, for whom Lis was the companion. There was Jo Grant who followed Sarah Jane as the Doctor’s companion. Good to see the civilian versions of Rani, Clyde and Luke. Daughter had somehow imagined Luke would be a brain-box in real life as well. But it was some of the more recent clips that did for us, especially the one with David Tennant at the end. As Daughter said, she hates Steven Moffat sometimes. When he gets scary. And The Impossible Astronaut did have a flavour of ‘are you my mummy?’, although I’m not sure it was the child so much as the ‘creatures’. Those that look so awful that you want to scream, but that you forget as soon as you don’t see them. 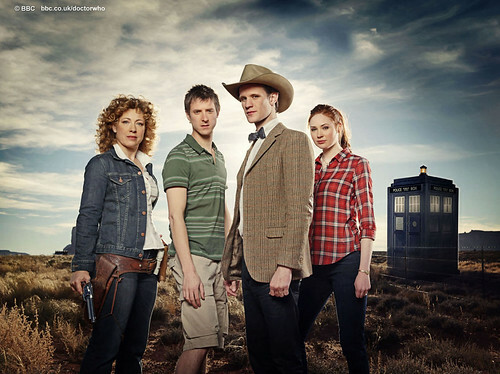 The Doctor described himself as the King of OK, which even he realised was bad. But he is looking forward to whatever it was he will do/have done that made River slap him. It’s hard with time travel and you don’t know where you are. 1969, for most of it. Spacemen, but not the Apollo ones, I’d say. One of those deliciously named Americans, Canton Everett Delaware III. He was President Nixon’s second ex-FBI choice, but by happy coincidence so was Nixon. Delaware number III’s second presidential choice, that is. Tardis coloured envelopes were nice, and the fishfingers and custard surfaced briefly. Amy is pregnant. So it had better not be her who gets killed off. It would be a shame for it to be Rory, now that he has matured so nicely. Which leaves River. It was an OK, if not King of, first episode. 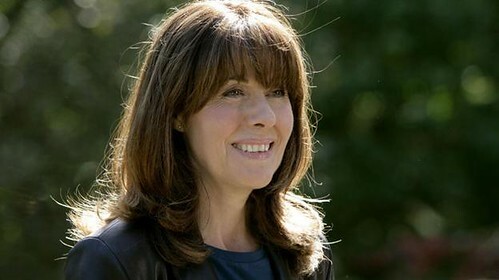 Very sorry to hear that Elisabeth Sladen died earlier today. According to the BBC she had had cancer for some time. For me she was ‘only’ the recent Sarah Jane, since I never watched the early Doctor Who programmes. But she was one of the best on television. They have big lorries in Australia. This much awaited film of the John Marsden novel, which I’ve not read (yet) has gone relatively unnoticed here in the UK. Or so it seems. Daughter who always watches trailers for films and knows about any old rubbish coming our way, had not heard of it. She didn’t seem to like the idea of it much, either, which might be why I took the Resident IT Consultant along when Daughter was busy elsewhere. And to be honest, he didn’t seem to exactly love it. Neither did the two other people in the cinema, who left after over an hour. Had I been them, I’d have left earlier, or not at all. As it was, I liked the film, and I was on the edge of my seat for most of it. Very adrenaline-y, as films go. Maybe it helped not knowing what was to come. Anyway, this was ten days after its release in the UK and we’re already down to one screening a day in our backwater. I’m guessing it’s not a hit. Australians seem to love it, and several Swedish book bloggers were upset at the late cancellation of the film in Sweden week before last. The books are big over there, so it’s a particularly weird thing to do. It’s about a group of seven teenagers who go camping one weekend, and while they are gone, war breaks out. They return home and everyone’s gone. Or so it seems. They have to save themselves from the invaders and eventually they turn guerilla. Think Bridge on the River Kwai, and as I mentioned earlier, they have huge lorries in Australia. There are more films to come. Two at least, and I for one will be wanting to see them. Though I might cheat and read up on what happens, because I really need to know. Do I have time to read all the books?